Batu Caves or the Limestone Caves is a limestone hill having a number of caves and cave temples in Malaysia, Selangor and Gombak. Batu Caves is really the big thing in Kuala Lampur. It derives its name from Sungai Batu (Stone River) flowing past the hill and is situated about 11km to the north of Kuala Lampur. 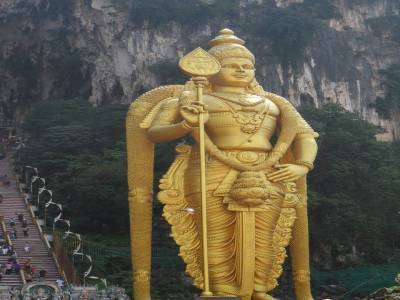 There is also a nearby village which is also known as Batu Caves. 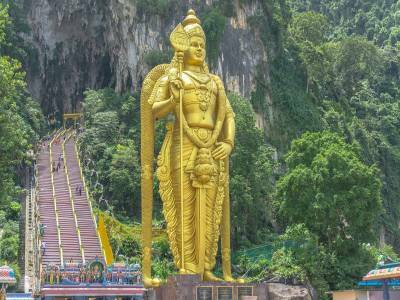 There is a statue of Lord Murugan to whom the Batu Caves is dedicated standing proudly at 42.7 metre, just ideal for photo shoots. The statue was built by 30 local and 15 Indian sculptures. It took 3 years to construct the statue. The costing of the statue was around about 250,000 Malaysian Ringgit. It is also the main attraction of the Hindu festival of Thaipusam in Malaysia. During this festival tourist, devotees and worshippers pour in numbers. It is held every year, usually in the month of January. In one occasion, the number of visitors during the Thaipusam festival reached more than a million which made it one of the largest gatherings in the world. 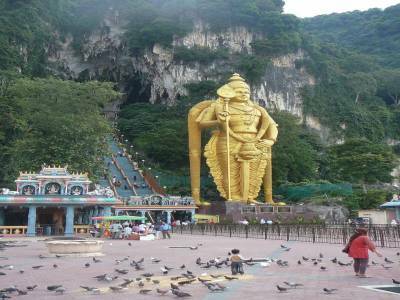 Batu Caves is one of Kuala Lampur’s top tourist attractions. More than 800-900 tourists visit the Batu Caves every day. Some other attractions that are found here are Dark Caves, Long Tail Macaque Monkey, 6 meter limestone Stalactite, Hanuman Statue and a Stalagmite. Hindu statues such Saraswati Statue, Lord Ganesh and Lord Shiva are also present here. 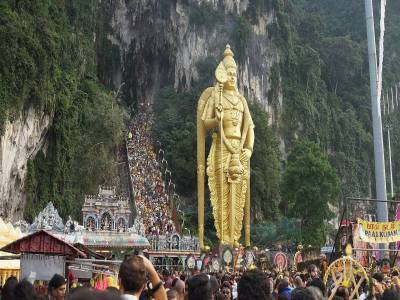 Batu Caves can be reached from the city of Kuala Lampur by bus. Taxis and cabs are also available in plenty almost any time of the day. The credit of being the founder of the Batu Caves goes to American naturalist William Hornaday in the year 1878 though they were a known entity to the local indigenous people and Chinese settlers. 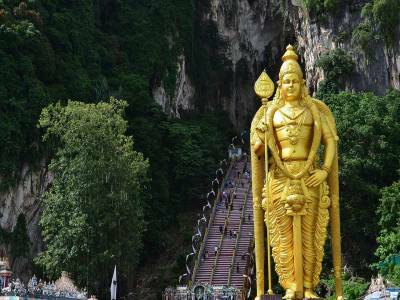 Get quick answers from travelers who visit to Batu Caves.